Paul J Sigwarth - O'Connor & Thomas, P.C. 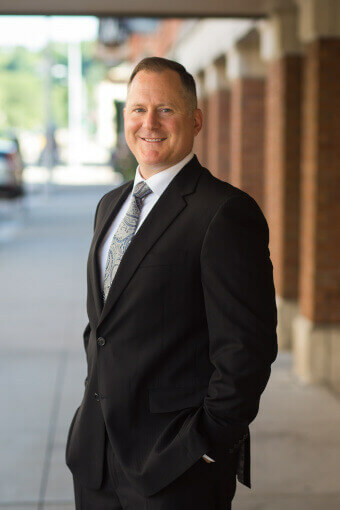 Paul J Sigwarth is a native of Balltown, Dubuque County, Iowa; he attended the University of Iowa, receiving his Bachelor of Arts degree with distinction in 1994, and his law degree with distinction in 1997. He was Case Editor for the University of Iowa College of Law Moot Court Program from 1996-97 and is the author of “It’s My Privilege and I’ll Assert It If I Want To: The Attorney-Client Privilege In Closely Held Corporations,” published in the Journal of Corporation Law in 1998. Paul was admitted to the Iowa Bar in 1997 and the Wisconsin Bar in 1998. He joined O’Connor & Thomas, P.C., in 1997. Paul is a member of the American, Iowa State , and Dubuque County Bar Associations and the State Bar of Wisconsin. His bar section memberships include General Practice, Commercial & Bankruptcy Law, and Litigation sections. He is admitted to practice before the U.S. District Courts for the Northern and Southern Districts of Iowa and the Western District of Wisconsin and is a member of the Iowa Title Guaranty Division of the Iowa Finance Authority. Paul’s general practice includes, but is not limited to, Banking Law, Bankruptcy, the areas of Business Law, Collections Law, Commercial Law, Contracts, Construction Law, Corporate Law, Debtor and Creditor, Employment Law, Estate Planning, Litigation, and Real Estate.